After your goods are manufactured in China and everything works well for you, you should be ready for shipping them to your warehouse. The whole importing process can be intimidating. The shipping is part of the job and it’s vital to get it done nice and neat. How is shipping freight calculated? Which shipping method is your best fit? When will it be beneficial to you to ship your parcel by air? 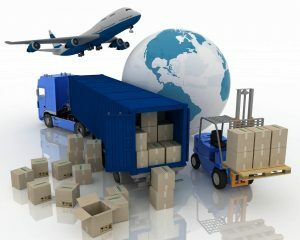 As a result of the fast delivery, the air freight can be expensive compared with other shipping methods. Either you are using your vendor’s freight forwarder or your own shipping courier, make sure you and the shipping company are talking about the same destination address to deliver your parcel. Putting aside the upper difference, here are some of the most commonly seen air shipping options that provide global shipping services. If you don’t ship goods internationally on a regular basis, you will be overwhelmed by all the different air cargo carriers. FedEx, Ups, DHL, TNT are most used 4 air shipping carriers. They have the fastest service and economic service. Fastest service delivery time is about 1-3 business days and economic service 3-5 days. Some of them offer overnight / the same day delivery service. If you have an emergency parcel or it is really time-sensitive, the service can help you with it. Time is money. In turn, it will charge you more to take the option. China / HK post registered air mail is a cheap but slow international shipping service. Very long delivery time. It is good luck already if the parcel arrivals within 1 month. E-packet was launched especially for eBay sellers based in the USA. Alibaba and Aliexpress also work with E-packet. E-packet in China has the priority over China post service because e-commerce requires certain delivery time. China Post EMS Mail is generally faster than the registered airmail service. It takes about 7-14 days. It’s an upgraded delivery service. There are many logistic service providers have their own special line. The shipping cost is often reasonable and delivery time is acceptable. If you are not in a hurry to get the parcel, a special line can work for you as well. Its price is not that high as top express carriers like DHL. Delivery time is common to be about 5 – 10 days. Meanwhile, some logistics service providers also work with top carriers (DHL, TNT, UPS etc). They are handling bulk orders and the prices are often better than you work with the top carriers directly. 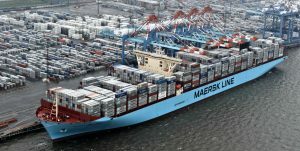 Sea shipping or ocean shipping can accommodate high volume and heavy cargoes. The item range covers wide categories. The sea freight doesn’t cost too much but it will talk some time to arrive at your destination port. It can be easily 30 days from the port of loading to port of destination. The distance in-between plays a big role. Sea shipping time can be estimated in a regular range instead of an accurate date. Land shipping (Ground shipping) normally covers road and rail transportation. It can be transported by train or by truck across inland areas. Very often land shipping is combined with air freight and ocean freight for door-to-door service. In general, here’s how the freight fees rank: International express / Air freight > road and rail service > ocean freight. Now here comes the calculation of volumetric weight. There’s a bit different of the volumetric/dimensional weight calculation between “express service [door to door]” and “air freight service [airport to airport]”. Air freight service is also offering “door to door” service these days, namely, the shipping company will have the cargo picked up at the factory to the airport. And after customs clearance is completed, the cargo will be delivered to your door. But these service is sure to be charged with extra fees. If you are hesitant about which one to choose, ask both of them to make an offer and make a comparison. If the cargo’s calculated weight is lighter than 300 kg, going for express door-to-door service is a better chance to save money and avoid chores. 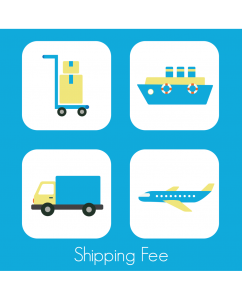 Shipping by sea involves some other cost items that you need to take into consideration. The calculated cost items can be more or less than following. It depends on which Incoterm you are dealing with your manufacturer in China. If you are or want to be in the E-commerce business, you may know overseas warehouse or fulfillment for order fulfillment service. The overseas warehouse is often established by 3PL(third-party logistics) to facilitate cross-border e-commerce. Your products are shipped in bulk to the overseas warehouse. Once the products have been received, they will be counted, inspected, labeled and added to your warehouse management software and shelved. Once the order is received by your warehouse, warehouse staff will pick off the shelves as per order specs and after proper checks, the goods will be moved to the shipping station. The shipping station will weigh and decide the best suitable shipping method and deliver the package to your customer. What shipping method do you normally use? 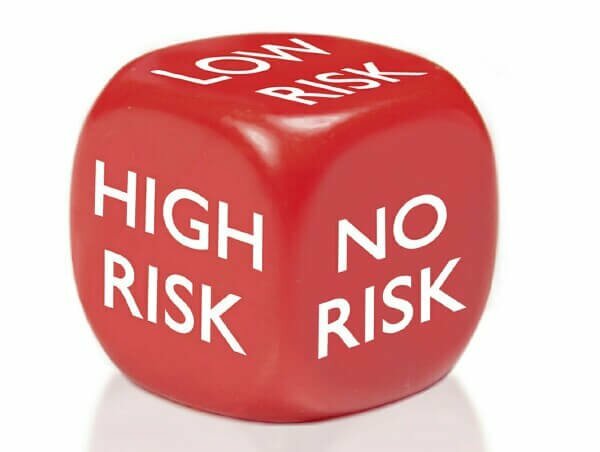 Any challenge while you are working with your shipping freight forwarder?